Grill Great Wings with GrillGrates! The added protection GrillGrates provides gives you the time to let Wings get crispy on the outside knowing they will still be juicy inside. Wings are also messy on GrillGrates but that is why they work so well. 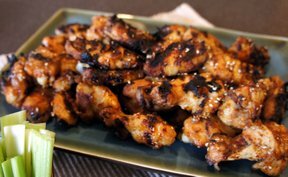 The fats and juices don't add fuel to your fire and stick around and sizzle and steam for juicier wings, not dried and burned. As as added bonus you have wonderful seasoning on the GrillGrates for your next grilling! Wings are fabulous on GrillGrates. They make a great appetizer or main course surrounded by vegetables. Thaw if possible, but Wings can go on the grill semi-frozen. 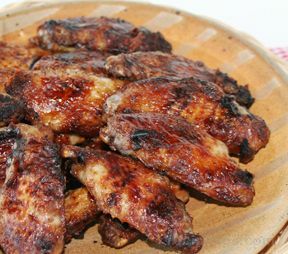 Think lower and slower with Wings on GrillGrates- they get crispier the longer they're on but not drier. 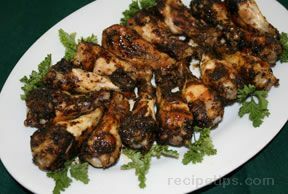 Too much heat will dry out the wings and take you beyond crispy to black and crunchy. GrillGrates protect against flareups from drippings and prevent blackening of the skins. They give you the time to grill them great! Set Gas Grills To Medium 350F. Charcoal Grillers spread coals evenly under GrillGrates and grill on the downside of the coals.